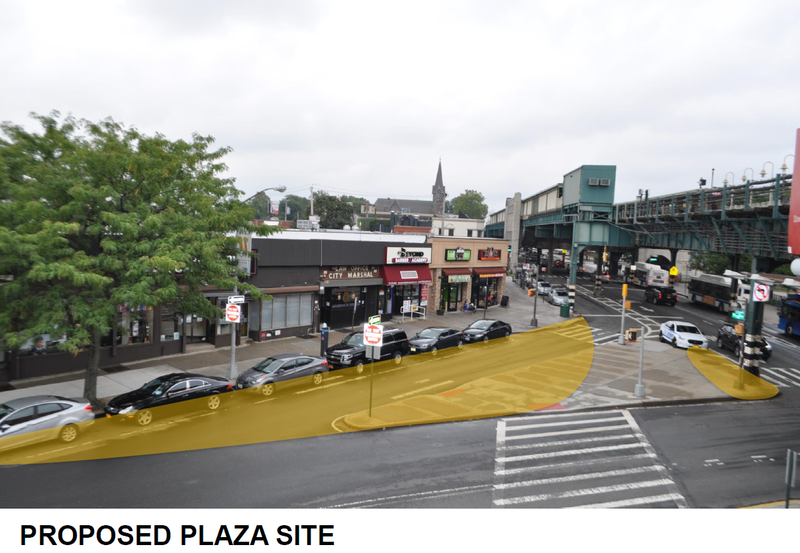 Following Bronx Community Board 10’s vote of support DOT will begin to plan the implementation of an interim materials plaza at the intersection of Westchester Avenue and E. Tremont Avenue. The plaza will provide much needed pedestrian safety and public space enhancements including shorter crosswalks, enhanced lighting, plantings, movable furniture and open space for programming and events in partnership with the Westchester Square BID. DOT expects to implement the plaza in Summer 2018. Please check back on this site, as we will post news and updates regarding this project. For the approved plan, check out the "CB 10 - June 2018" presentation in the Presentations page. Thank you to all who participated and gave your input!